A military probe team investigating wrongdoings of the now-disbanded security command sought an arrest warrant Tuesday for a two-star general over the alleged surveillance of civilians years ago. The team suspects that Maj. Gen. So Gang-won, who served as the chief of staff of the Defense Security Command, was actively involved in monitoring the bereaved families of victims of a 2014 ferry disaster. It cited flight risk and the possibility of So destroying evidence. In a press release, the team said that the DSC appears to have conducted "systematic, across-the-board" surveillance of the victims' families at a time when the sinking of the ferry Sewol caused intense public criticism of the then-conservative government's ineptitude for crisis management. 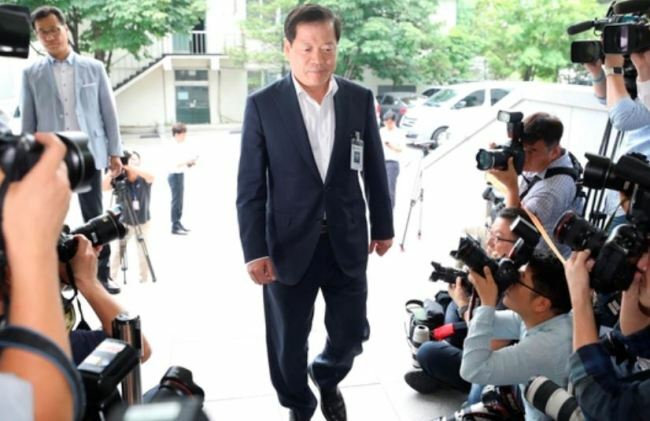 The investigators have been looking into a series of the DSC's misdeeds, including its alleged consideration of martial law to quell public protests that called for the dismissal of corruption-tainted President Park Geun-hye last year.